C.E. 71: In the midst of war between the Naturals (OMNI) and Coordinators (ZAFT), a unit from ZAFT is dispatched to hijack the Earth Alliance's newly developed mobile suits on the neutral colony of Heliopolis. Orb Civilian Coordinator Kira Yamato attends the technical college on Heliopolis. After ZAFT hijacks 4 of the 5 mobile suits, Kira stumbles upon the last one, Strike, forced to pilot it to save his and his friend's lives. 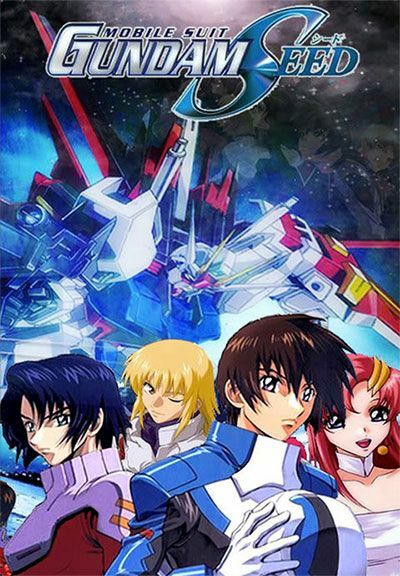 During this confusion, Kira also reunites with his childhood Coordinator friend, Athrun Zala, who ironically turns out to be a ZAFT soldier and one of the hijackers at Heliopolis. Having control of Strike, Kira joins the Earth Alliance boarding the ship known as Archangel, to protect his friends while despairing over becoming the enemy of his childhood friend and people. Episode 14 and 26 (recaps) weren't on the BDs.